To kick things off, let's talk about Simrad. This posting isn't about specific issues - those will follow. This is the culmination of a long battle. I have been finding and reporting problems with my suite of Simrad equipment for about 6 months now. In that time, out of 25 problems reported and documented, exactly one has been resolved. Now I'm sure you are all thinking "this must be an installation problem". Nope. The installation has been checked and verified and passed with A+ grades. All of the problems are confirmed product bugs. The biggest issue is that the Radar ARPA function that lets you track targets and project where they are going, is seriously broken. Rather than giving a stable, consistent predictor, it instead wonders all over the place. As a result, it's not usable, and ARPA is a key element of collision avoidance in poor visibility. So the radar needs to go. And the ARPA problem affects both radars, so they are both unusable for navigation. Next is the auto pilot. It steers the boat really well - no problem there. But there seem to be all sorts of interactions with and among the various devices that cause all sorts of other erratic and unpredictable behavior. The system is powered up and down via a button on the AP control panel. That button is supposed to power up/down the control panel and the 4 follow-up steering levers that I have. Sometimes when you power it up, it's not able to discover all the components and generates an alarm. Sometimes when you power it down, only some of the components turn off, and the others generate alarms. It also has a feature by which you select which heading sensor to use. Sometimes the AP remembers the setting across power cycles, and sometimes it doesn't. So the auto pilot has to go. Then there is the ripple effect. With the radar gone, the multi function black box computer is of little value since it can't display or control any other vendor's radar. So it goes too, along with its control keypad. But it's also the only way to operate the black box fish finder, so that has to go too. 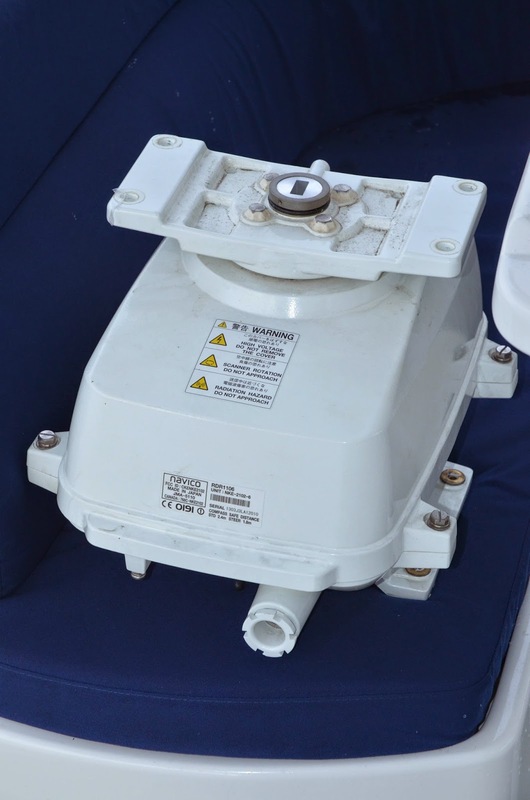 The net result is that every piece if Simrad equipment except the Sat Compass (which still has some problems) has been removed from the boat. 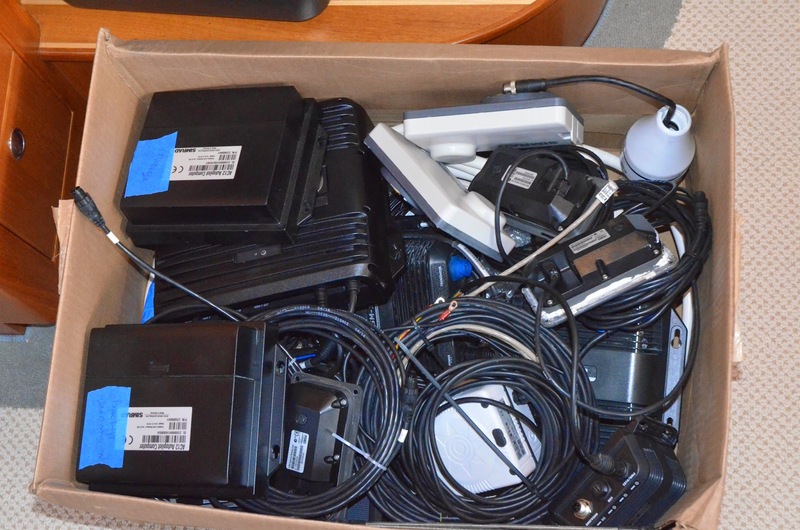 Now everything is in a big box awaiting return to Simrad. They are doing the right thing by taking the equipment back, but I am still taking a huge bath on the installation and de-installation costs, not to mention the cost of replacing everything with other equipment that hopefully works better. Sorry to hear the problems have multiplied. I have been reading with interest since the boat I purchased last May is due for electronics upgrade. 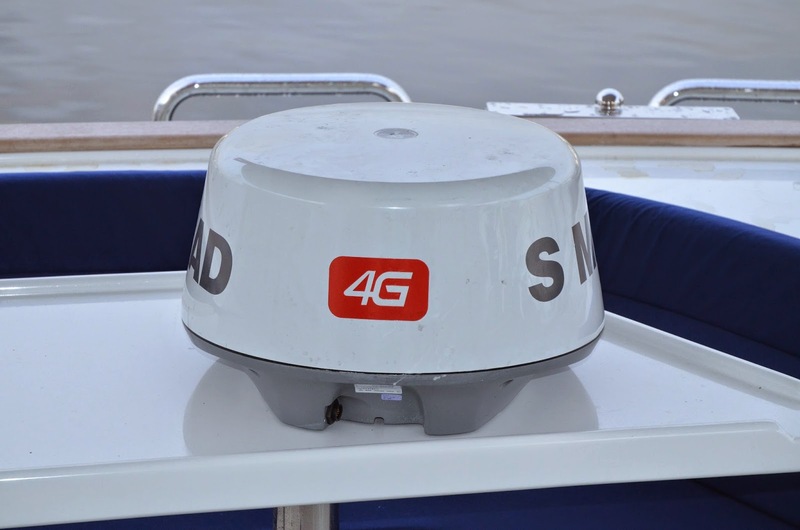 I was liking what I knew about Simrad radar (namely 4G)and EVO black box until this latest info. I assume the problem with ARPA is there when only radar powered up and in use. Have you decided on the next vendor(s) for radar and black box, etc? Thanks for all the great, "real experience" related info, Peter. ARPA (or MARPA) is a radar feature, so yes, those problems only surface when using the radar. Over the next few days I'll try to detail the specific problems that I've found, and you can decide whether they matter to you. I'll be the first to admit that a number of them are nuisance problems that can pretty easily be worked around. But others I think are quite serious. I´m following your posts since your boat is in the water and am sorry for you having so many unsolved problems. 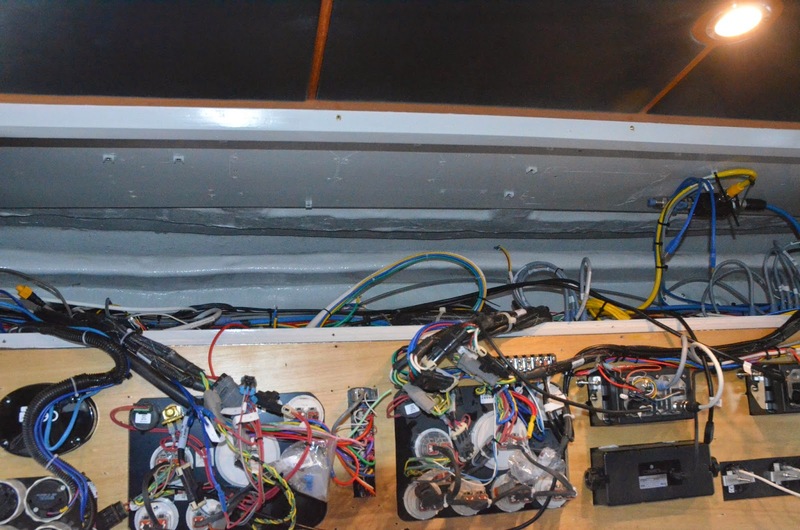 It was time that somebody opens a wall of shame on marine electronics! So, Simrad products will not be my future choice. Where they not willing or just not able to solve your problems? Are maybe stand alone systems the safer/ more reliable solution? Bus-(black box) systems - even if all from the same company - seem to cause interaction issues. What will be your future systems, Furuno, Raymarine? What is Nordhavns position to these issues? Did they recommend you the installed systems? Of course they are not responsible for the supplier’s devices but they should be interested to deliver a perfect working boat. Why don´t you copy one installation of a perfect running system from one other Nordhavn? I like that you really name what is going wrong and am excited to know about how you are going to solve it. Thanks for you comment. I'll try to answer all your questions in upcoming posts describing the new systems and the through process that lead me to it. But one characteristic is that systems are much more stand-alone now, and I've focused on picking what I think is the best device for each purpose. One thing I would like to address now, and will repeat over and over again because it's very important and easily mistaken. Nordhavn had nothing to do with the electronics, so I hold no ill-will towards them in any way. 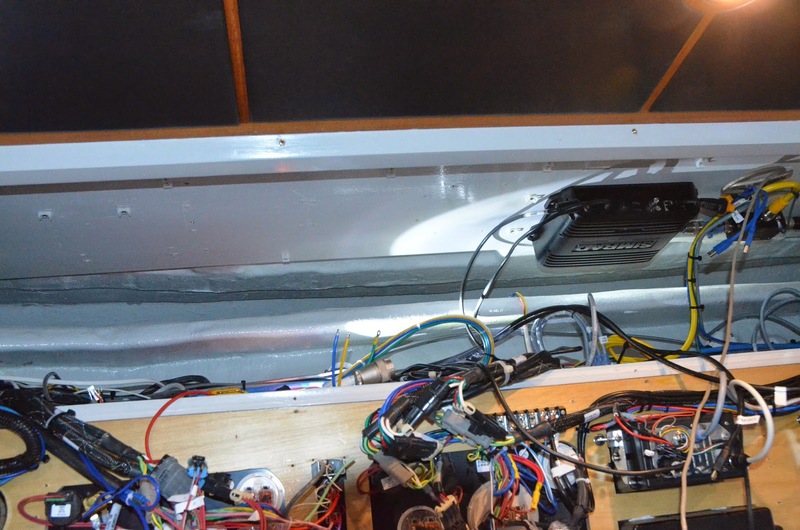 Electronics on any boat like this are a totally separately contracted project. So don't think badly of Nordhavn for this. The other mistake that would be easy to make would be to blame my electronics installer, Performance Marine. Reality is just the opposite. They did a first rate job with the installation, have been very supportive throughout the process, and have been key to resolving the problems. The decision to use this equipment was mine, and mine alone. The only blame for that decision is in the mirror. I evaluated the gear, really liked how it all worked, purchased and bench tested a bunch of it well in advance of installation, and obviously thought I had made a good, and well researched decision. As for the problems, I believe there is nobody to blame other than Simrad/Navico. I couldn't say whether they were unable or unwilling to fix the problems - both look the same to a customer. But of the 25 or so reported problems, only one got resolved and that was simply to update the firmware in the Sat Compass (the field update program wouldn't work and it had to be returned to the factory for update). 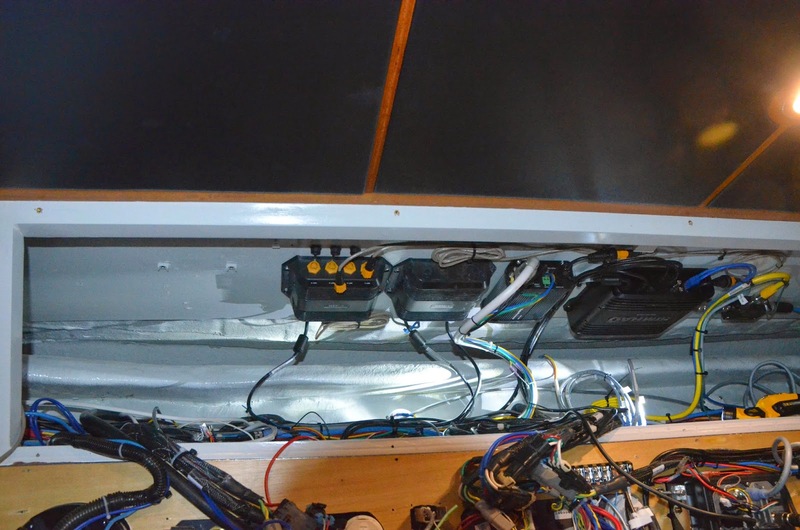 If you are so inclined, read through my blog postings on the whole evolution of my electronics system and you can see what I went through and how I arrived at the system design. I though I had done a pretty thorough job, but there is so much to these products that it can take a long time to really experience all of it. It's not until then that you expose yourself to all the possible bugs. "assume the problem with ARPA is there when only ONE radar is powered up?" As opposed to both units running. That is if they didn't interfere with each other. I've routinely seen multiple radars arrays spinning on commercial vessels in the past and assumed they were both hot. Thanks again for all the posts. And yes, the problem still exists with a single radar. On eof the experiments that Simrad asked me to do was to strip the N2K network down to just the bare minimum. So I built a dedicated network with just the NSO, OP40 control pad, HS70 sat compass/GPS, and the AT10HD adapter that feeds heading to the 10KW Radar. The idea of course was to eliminate the questions of interference from other devices. The results were the same. 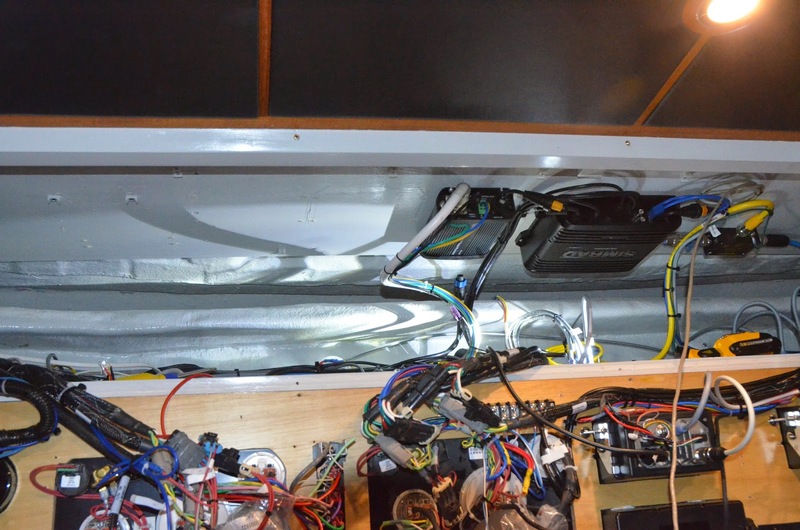 Manufacturer have known about these issues for a long time and by requesting you to strip the network down is a way of using your boat and time to be there R&D test rig for free. As a fellow boater I understand your frustrations. Expect many more SW updates from Simrad before they have a stable platform, I’m certainly looking at other options for my next purchase. On a positive note it’s a great looking boat, safe sailing for the future. Read on and you will see that I abandoned Simrad completely. Since then I've been monitoring their product releases and software updates, and as best I can tell they have not fixed any of the issues, and only introduced a whole pile of new ones. Buying their stuff was one of the worst decisions I made when building this boat, and removing it all was one of the best decisions I've made. I noticed bugs into Navico NSS Radar MFD software, I wasn't aware of this specific MARPA problem. Thanks for reporting. My experience is that after 1 year of reporting about 20 differents bugs Navico did not even reply to one question. What I can say is that Navico support do not exist at all. They ask you to complain to your local reseller, whom is unable to solve anything because its firmware bugs most of the time. They do not reply to their resellers either. At this time I suggest all customer to avoid Navico brands (B & G, Lowrance, Simrad) because they are not helping for any bug. Their products are not specifically worse (or better) than other brand, but having no support is not possible for people at sea .